The PLEGA Waverley Petite Lift Chair is PLEGA’s smallest chair on the market. It will suit people of a smaller stature or looking to save space in a smaller room. As our population ages we tend to loose a few inches in height with the shrinking of the spine. And as we downsize with age our space becomes a premium. Do you often get lost in furniture that’s too big? Do your feet not touch the floor when sitting back in your arm chair? Do you have pillows stuffed behind you? Then the PLEGA Waverley Petite is the chair for you. The PLEGA Waverley Petite is built to ensure that your back is supported by specifically designed foam for lumbar support. This is great for people with lower back aliments. 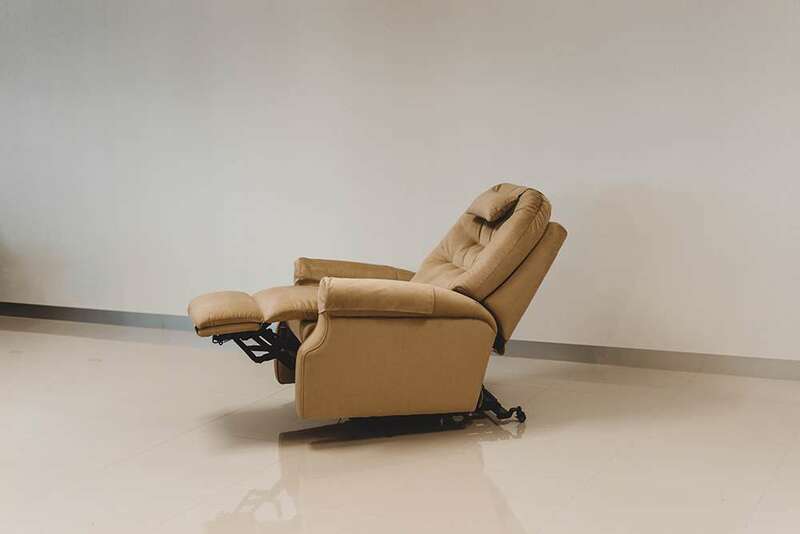 The seat depth allows you sit with your back flush to the lumbar support and no need for extra pillows to get your knees to the edge of the chair. The seat height allows your feet to be in contact with the floor so when your PLEGA Waverley Petite Chair lifts you will always feel stable and secure. The seat width will ensure that you are not reaching to place your arms on the arm rests. 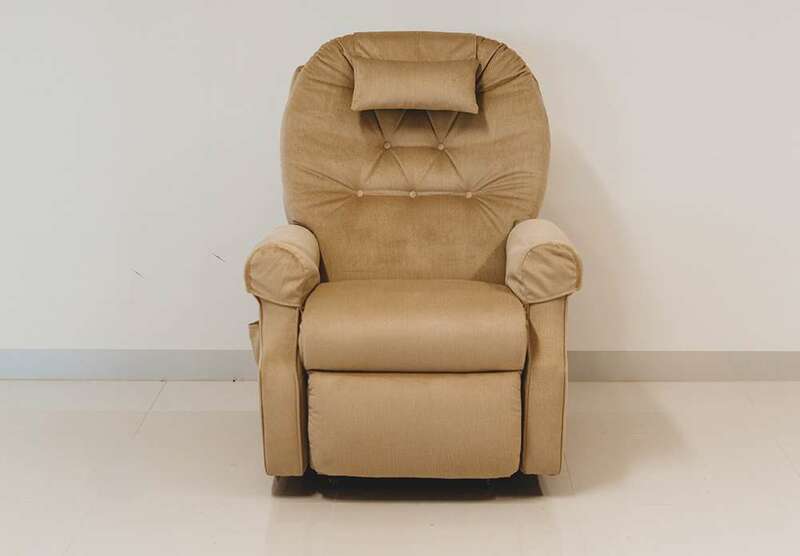 And the height of the arm rests will allow you to relax your shoulders and rest your elbows comfortably without having to constantly shift from side to side to relieve pressure. The foot rest length allows you to have your heels just of the end of the foot rest when reclined meaning that from your hips down to your heels you have as much leg in contact with the chair as possible spreading the weight out over a larger surface area and reducing pressure in your hips, knees and ankles. 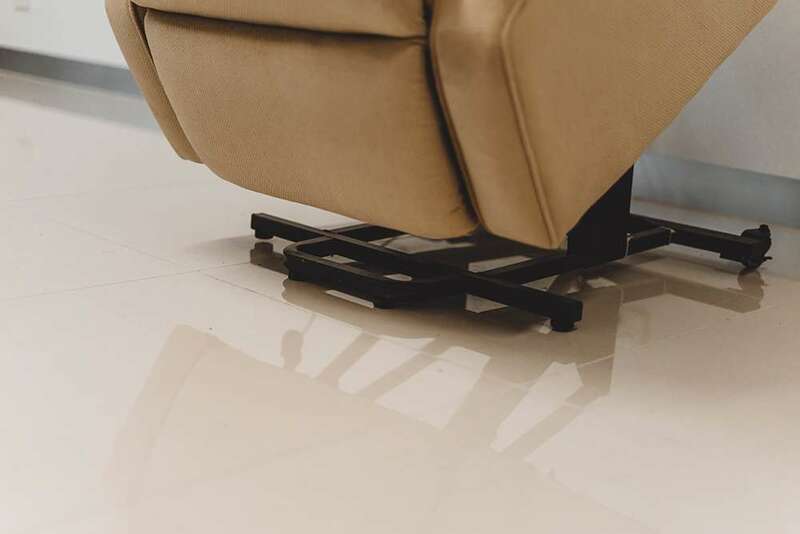 With larger chairs having your legs raised means having your feet on the foot rest raising your feet and creating pressure under the arches of your achilles and knees. Being able to sit up right with a straight back and legs raised is great for fluid retention and general relief from day to day stress and tension. 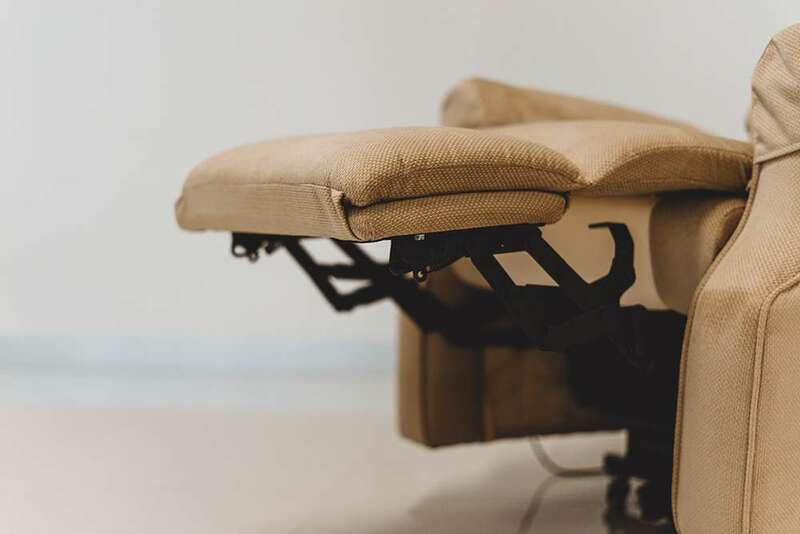 The back height when sitting up allows your shoulders to fit into the space created by the button pattern which follows the natural curve of the spine and when in recline means you are totally supported without getting lost in your average size arm chairs. Does your bulky furniture take up too much space and make the room feel cluttered and cramped? 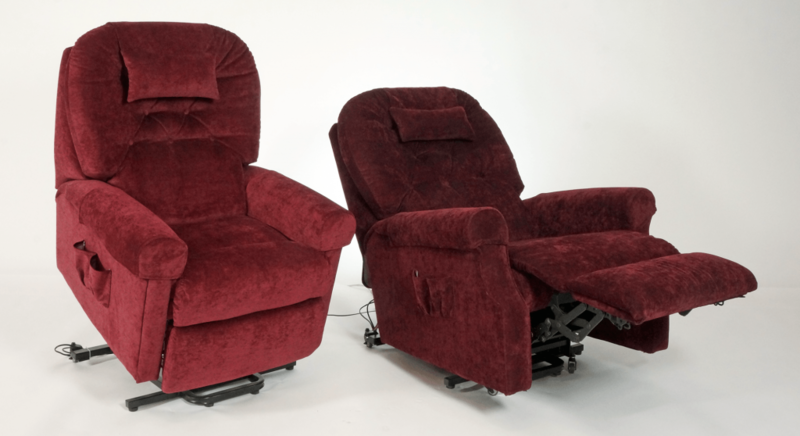 Are you downsizing to a smaller space yet still want all the comfort of your favourite reclining arm chair? Well the PLEGA Waverley Petite is the chair for you. As the Waverley Petite is PLEGA’s smallest chair on the market this means your chair will take up less space and is perfect for those in a single room such as a retirement home. The smaller your chair, the less space your chair occupies, the more room you get back. You will be able to see over your chair without it obstructing your view or blocking the natural light. This will allow you to be able to move around it easily and have plenty of space for other things in your room. This will allow you to get the space back in front of your chair so your not having to sit too close to the television or allows space for a near by coffee table. Allows others space to move around the room without disturbing you. For further details call PLEGA on 1800 648 648.